Why buy Kitco Pool Account? Kitco Pool Accounts are a low cost way of buying, owning and trading precious metals like gold, silver, platinum, palladium, and even rhodium. 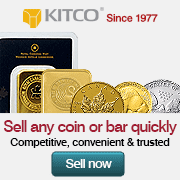 Established in 1977, Kitco is the worlds #1 Gold News website and a trusted online silver and gold bullion dealer. Kitco Pool Accounts are unallocated accounts of precious metal deposits in which you do not have the direct title to specific allocated bullion bars or coins. As a Kitco Pool Account holder, you own a share of a pool of precious metals held by Kitco on your behalf. In exchange for your Kitco Pool Account holdings, you can request and receive any physical precious metal bullion product available in our online store upon full payment of all applicable fabrication, shipping, and insurance charges. Kitco Pool Accounts may consist of precious metals in any form whatsoever, including but not limited to bars, coins, and scrap metal. Precious metal pool accounts are available from a gold investment account, silver investment account, platinum investment account, palladium investment account, or a rhodium investment account. The precious metal deposits which form Kitco Pool Account holdings are specifically identified and kept physically separate at all times from precious metal deposits belonging to Kitco. They are not part of Kitco’s assets. These precious metal deposits, while not segregated by individual ownership, belong entirely to Kitco’s customers who are Pool Account holders and thus are available to these customers at any time. 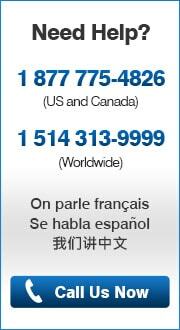 Pool Account assets are stored by Kitco in secured depositories in various locations. Kitco Pool Accounts are designed to be a convenient, secure, and cost-effective precious metal investment vehicle for our customers. Kitco Pool Account holders own a share of a pool of precious metals held securely by Kitco Metals Inc.
A share of our customers prefer paying extra for physical possession of their precious metals to be delivered discreetly to their door or delivered to a third party, non-bank, segregated storage facility. A large share of our customers opt to avoid many of the costs and complications associated with shipping, insurance, and storage of bullion bars and coins made of various precious metals.